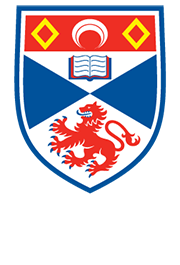 SOI Ltd is a wholly owned subsidiary of the University of St Andrews and is overseen by an independent Board of Directors. SOI Ltd employs a core of key staff to provide commercial, administrative and scientific support and advice to clients and partners. We work with a range of individuals and organisations within the University of St Andrews and beyond to deliver a variety of specialist services. SOI Ltd provides access to expertise and staff based at the Scottish Oceans Institute including those at the Sediment Ecology Research Group (SERG) and the Facility for Earth & Environmental Analysis (FEEA). These facilities have an international reputation for their work they carry out in the coastal and transition zones of the UK and beyond. SMRU Consulting offers products and services that allow industry, government, and NGOs to observe what goes on in our seas and to help them make well-founded judgments about the exploitation and management of our marine environment. SMRU Consulting scientific personnel operate throughout the world, specialising in issues concerning marine mammals and their environment. SMRU Instrumentation provide a range of telemetry tags and data acquisition management software, software to visualize data in time and space, and expert advice and support, from data collection through to analysis.